Ottmar Liebert, MainArtist Copyright : (C) 1990 Higher Octave Music, Inc ℗ 1990 Higher Octave Music, Inc. Traditional, Composer - Ottmar Liebert, Producer, Arranger, Acoustic Guitar, Work Arranger, MainArtist, AssociatedPerformer - Dominic Camardella, Producer, Engineer, StudioPersonnel - Joseph L. Steiner III, Mastering Engineer, StudioPersonnel - Jon Gagan, Bass, AssociatedPerformer - Dave Bryant, Percussion, AssociatedPerformer Copyright : (C) 1990 Higher Octave Music, Inc ℗ 1990 Higher Octave Music, Inc.
Ottmar Liebert, Composer, Producer, Acoustic Guitar, MainArtist, AssociatedPerformer - Dominic Camardella, Producer, Engineer, StudioPersonnel - Joseph L. Steiner III, Mastering Engineer, StudioPersonnel - Jon Gagan, Bass, Synthesizer, AssociatedPerformer - Dave Bryant, Percussion, AssociatedPerformer Copyright : (C) 1990 Higher Octave Music, Inc ℗ 1990 Higher Octave Music, Inc.
Ottmar Liebert, Producer, Acoustic Guitar, MainArtist, AssociatedPerformer - Traditional/Ottmar Liebert, Composer - Dominic Camardella, Producer, Engineer, StudioPersonnel - Joseph L. Steiner III, Mastering Engineer, StudioPersonnel - Jon Gagan, Bass, Synthesizer, AssociatedPerformer - Dave Bryant, Percussion, AssociatedPerformer Copyright : (C) 1990 Higher Octave Music, Inc ℗ 1990 Higher Octave Music, Inc.
Ottmar Liebert, Composer, Producer, Acoustic Guitar, MainArtist, AssociatedPerformer - Dominic Camardella, Producer, Engineer, StudioPersonnel - Joseph L. Steiner III, Mastering Engineer, StudioPersonnel Copyright : (C) 1990 Higher Octave Music, Inc ℗ 1990 Higher Octave Music, Inc.
Ottmar Liebert, Producer, Acoustic Guitar, MainArtist, AssociatedPerformer - Traditional/Ottmar Liebert, Composer - Dominic Camardella, Producer, Engineer, StudioPersonnel - Joseph L. Steiner III, Mastering Engineer, StudioPersonnel - Jon Gagan, Bass, AssociatedPerformer - Dave Bryant, Percussion, AssociatedPerformer Copyright : (C) 1990 Higher Octave Music, Inc ℗ 1990 Higher Octave Music, Inc.
Ottmar Liebert, Composer, Producer, Acoustic Guitar, MainArtist, AssociatedPerformer - Dominic Camardella, Producer, Engineer, StudioPersonnel - Joseph L. Steiner III, Mastering Engineer, StudioPersonnel - Jon Gagan, Bass, AssociatedPerformer - Dave Bryant, Percussion, AssociatedPerformer Copyright : (C) 1990 Higher Octave Music, Inc ℗ 1990 Higher Octave Music, Inc. 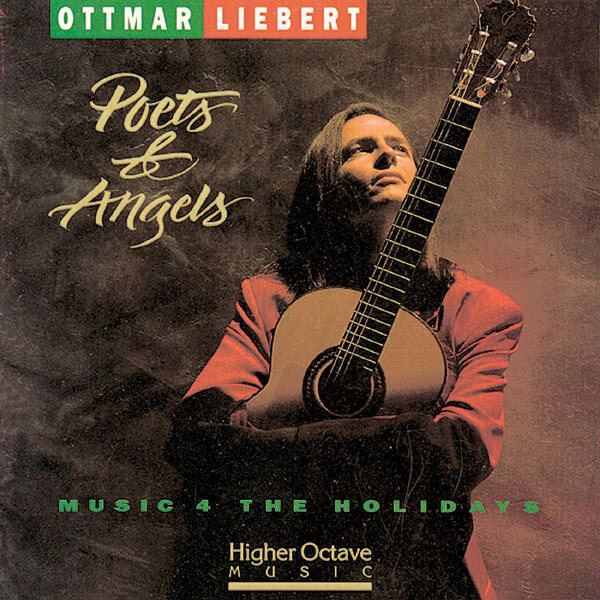 Traditional, Composer - Ottmar Liebert, Producer, Acoustic Guitar, MainArtist, AssociatedPerformer - Dominic Camardella, Producer, Engineer, StudioPersonnel - Joseph L. Steiner III, Mastering Engineer, StudioPersonnel Copyright : (C) 1990 Higher Octave Music, Inc ℗ 1990 Higher Octave Music, Inc.
Ottmar Liebert, Producer, Acoustic Guitar, MainArtist, AssociatedPerformer - Traditional/Ottmar Liebert, Composer - Dominic Camardella, Producer, Engineer, StudioPersonnel - Joseph L. Steiner III, Mastering Engineer, StudioPersonnel Copyright : (C) 1990 Higher Octave Music, Inc ℗ 1990 Higher Octave Music, Inc.
© © 1990 Higher Octave Music, Inc.